With the rise in popularity of Cognac, we have created a superb new luxury package based in the region. 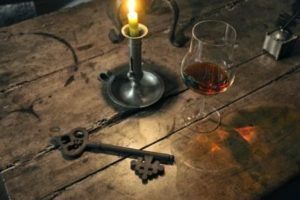 If you were looking to get away this Autumn, then picture holding a glass of Brandy, with the heat from your hand warming your drink, so that you can enjoy it in the way it was originally intended. The bulb shape glass was designed to be held so that your Brandy is slowly warmed through the heat of your body, and was to be consumed at a temperature of 70 degrees, a tradition that has never died. 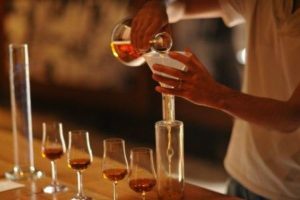 We can offer you a luxurious break, where you will try excellent Cognac in true style. From £1043 per person, you can enjoy a two-night stay and take full advantage of our ultimate luxury itinerary. Delight in a two night unforgettable experience at the opulent 5* Château de Mirambeau, with its unique style and lavish décor. Enjoy being chauffeured around the region in a private executive vehicle for the day. You will be welcomed as VIP guests at the world famous Rémy Martin and Hennessy. Experience a unique boat crossing to the Cognac Hennessy estate. Complement the Cognac tastings with a gastronomic seven course gala dinner in the hotel’s Michelin-starred restaurant.